Un-forgiveness is a seed that grows into bitterness. It is like a cancer that will eat away at an otherwise happy man or woman. Those roots of bitterness go deep and are very painful, shattering every vestige of peace. But most importantly the Word says that if we forgive the people who have hurt us and made us angry, he will also forgive us. 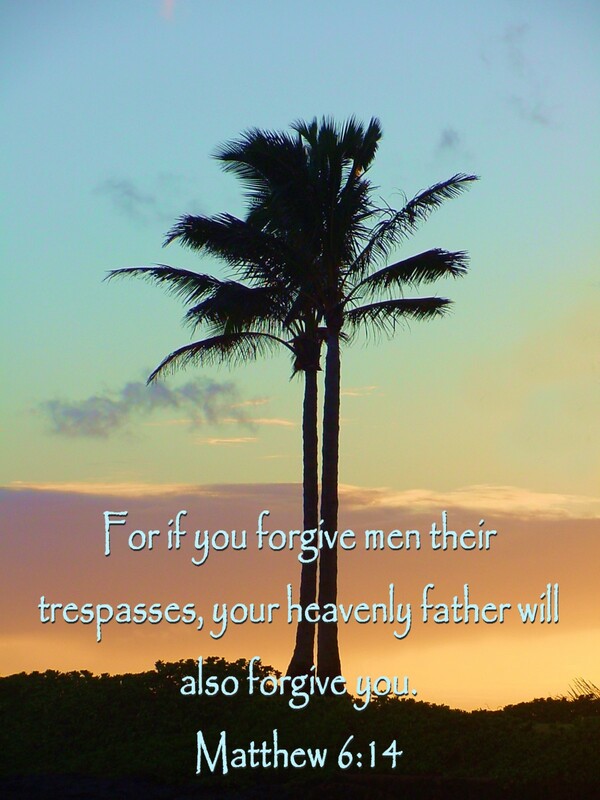 Matthew goes on to say that if we don’t forgive men their trespasses, our Heavenly Father will not forgive us. 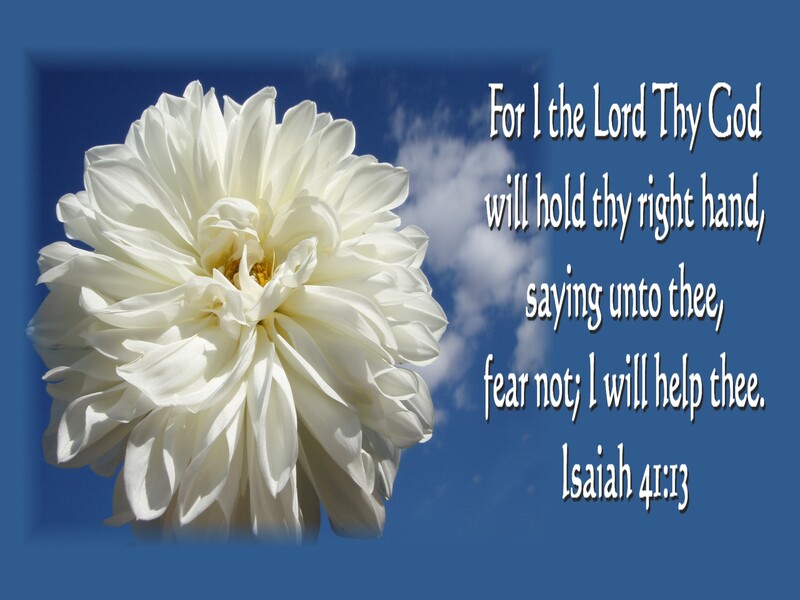 That is a strong word from the Lord, because he knows the unhappy life that can result in un-forgiveness. If we are in pursuit of the Lord and want to be like him, we need to take a good look at his character. He is gentle, kind, and full of mercy. Most of all, he is full of love and forgiveness. So whatever it is that you have been holding on to, let it go. Invite the Lord to pull that root of bitterness out . It is then that you will find true happiness. Let this be a day of forgiveness. The Lord has done great things for us, really? He does great things for us everyday of our life, but we just look for the big things. That is a common problem with many who call themselves His. Those who don’t know him don’t acknowledge him for any thing he does. Every breath that we take is a great thing that he has done. Every step that we take is a great thing. He created us so we can walk. Those eyes that are always looking for the great big things are one of Gods greatest things. Many small things are great too, and we can tend to overlook them. In my world a robin pair decided to make her nest on our front porch near the top. They worked and they worked, and the wind would blow it away, or we would walk out the door and scare them away. They never gave up and much to our delight, the nest is complete and mom is sitting in it. I feel honored that they chose our porch, and I thank the Lord for that Great Thing, It has made me glad. 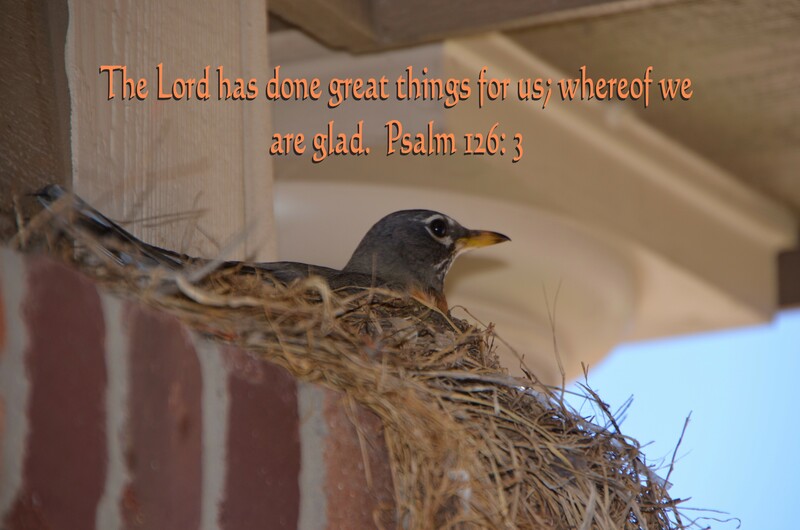 Look for all the great things that he is doing for you, and I am sure you too will be glad! Posted on May 3, 2015 October 7, 2015 Categories Uncategorized1 Comment on Great Things?